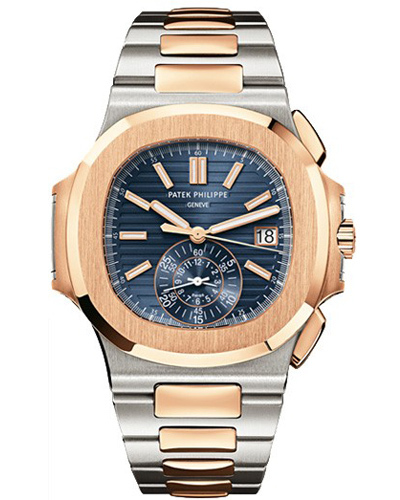 Patek Philippe Nautilus Mechanical Blue Dial Mens Watch 5980/1AR. McGregor showed off the Patek Philippe watch in March 2017 on Instagram. 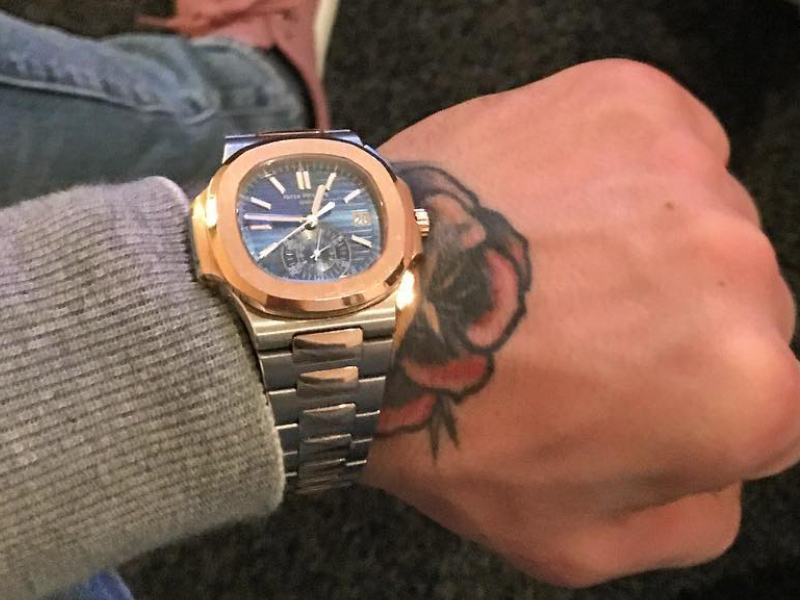 McGregor showed off the Patek watch in March 2017 on Instagram. He also wore the watch prominently during the press conference on July 11th 2017 at Staples Center in Los Angeles, promoting the scheduled match between him and Floyd Mayweather. The two are scheduled to fight in a boxing match on August 26th 2017 in Las Vegas. The $60,000 watch (available online at JomaShop) has 18Kt rose gold round case (40.5mm diameter) with stainless steel and 18kt rose gold bracelet. Fixed rose gold bezel. Blue gradient dial with rose gold-tone hands and index hour markers has a date display at the 3 o'clock position. The sub-dial at the 6 o'clock position displays 60 seconds and 12 hours. The watch features a chronograph, date, hour, minute, second. 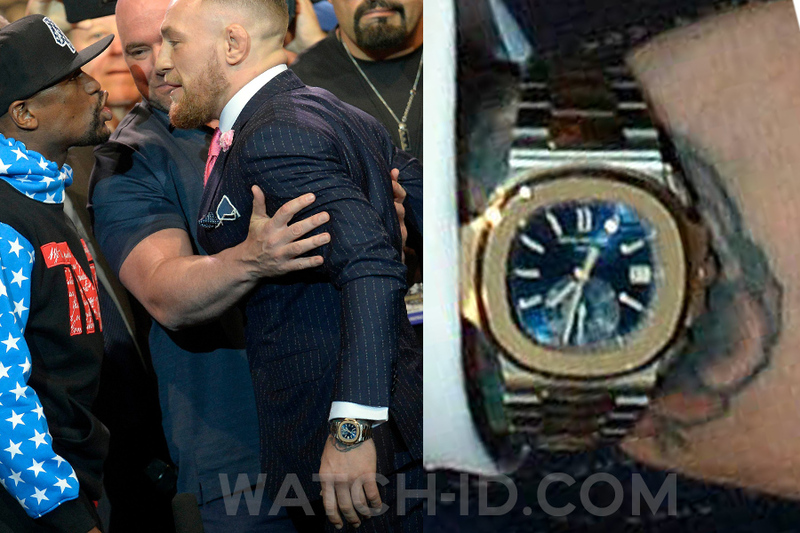 This is obviously not the only watch in his collection: Conor McGregor owns and often wears a gold Rolex Sea-Dweller, gold Rolex Yacht-Master II White Dial Blue Bezel, an extravagant diamond encrusted Audemars Piguet and a relatively subtle Rolex Datejust with light blue dial.